Have short hair and want highlights? Or maybe you have highlights and want to cut it short? Or maybe you have neither and are looking for a big hairstyle change and want to get a short cut with highlights? We have many (dozens) of great examples of women with short hair and highlights. Scroll through our growing gallery below. We add new photos all the time. We include all ages and hair types here. Kristen Stewart’s short hairstyle with highlights comprises of a neat pixie cut with slightly longer strands on one side. Notice how the tips of her hair have been dyed using a radiating gold color in order to shine brightly in her brown hair. A touch of pale blonde at the front further adds to the fascinating style. While you laughed at their jokes and had the time of your life watching the greatest sitcom ever, it couldn’t have escaped your notice that your favorite friend has highlighted hair. So, if you would like to get espresso brown highlights over honey blonde hair, we completely get it and certainly appreciate the fandom. If you love Lucy Hale, you will also love the hairstyling ideas that she drops every now and then. Here we see her sporting a half-up hairdo in short hair with highlights. Notice how she uses her brown color with a hint of ruby red that gradually turns into baby pink hues along the length of her hair. It is a genius way to stand out in any crowd. This style for short hair with highlights is sported by the lovely Emma Roberts who looks attractive in the simple but elegant hairdo. Her short hair has been neatly formed into a low bun whereas she has opted for Havana brown highlights in her sunflower blonde hair. Here we see the young and pretty Elizabeth Olsen rocking her short hair with highlights. Side-sweeping her wispy shoulder-length hair, she has used light blonde highlights that are darker near the roots. The result is a forever-sun-kissed hairstyle that is simply to die for. If you have sleek, silky and fine hair or are planning to get them straightened, then consider this graceful hairstyle for short hair with highlights. Lauren Conrad combines grayish-brown hair with thin strokes of golden hair dye. The subtle highlights merge so well in her silky straight hair that they look almost natural. Takes notes from Jessica Biel on how to look stunning with such an easygoing hairstyle. Tousled, chin-length brown hair that has been center-parted and highlighted with honey gold hues is a good style to sport on weekend parties as well as other events. Lauren Bosworth demonstrates how deep blonde highlights and chestnut brown shades not just merge well together but also make you look effortlessly stylish. This is a good style to consider for short hair with highlights. When it comes to short hair with highlights, most women prefer subtle colors that are a tinge lighter or darker than the base color. But if you feel like breaking away from the norms, then follow Vanessa Hudgens’ hairstyling regime. The actress confidently sports luminous blonde highlights that are a sharp contrast against her dark mahogany hair. To take the style a step further, get a choppy bob with waves to look as impressive as she does. Talk of short hair with highlights and forget the iconic Jennifer Lawrence? It’s just not possible. Here we see the talented Oscar winner is a minimalistic hairstyle that comprises of baby bird pixie cut with shaggy bangs. The highlights are a mixture of pale blonde and ash brown tones that give a unique and fascinating look. With hair set in a brushed-back style, this style for short hair with highlights is good for professional and formal settings. Miley Cyrus loves experimenting with her hair, and here she sports another spectacular hairstyle. This side-brushed pixie cut with well-defined tones looks all the more stylish with the hint of silvery pink at the top. A bob is always an ideal style to consider if you want short hair. 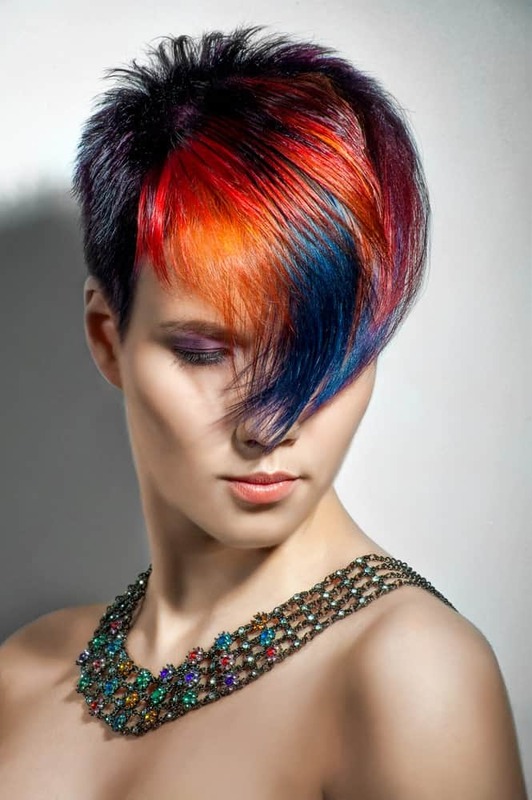 But instead of having a usual one, combine it with mild highlights and the stylishness goes to a whole new level. Notice how the Hollywood charmer Rachel McAdams flaunts her short hair with highlights. 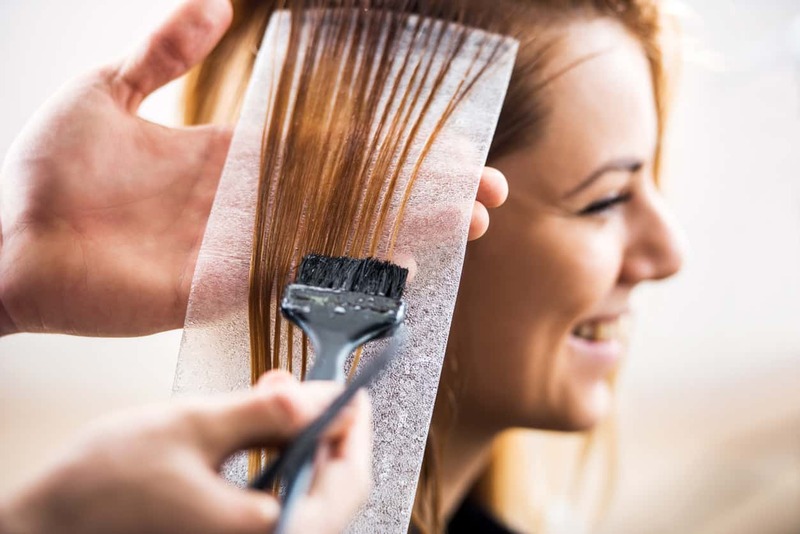 Platinum-gold hues are good to consider if you have auburn hair. This style for short hair with highlights will obviously require you to dye your hair as well, but it should be considered if you want a funky look. The mauve hair dye might have looked too bright on its own, but by merging it with black and silver gray highlights, this stunning singer has surely balanced the contrasts well. Vanessa Hudgens loves short hair with highlights, and we love the way she styles it. Side-swept tousled waves with caramel highlights at the front, coupled with a messy bob cut make her look exquisite beyond words. Here we see the gorgeous Lauren Conrad wearing her short hair with highlights in an impressive manner. A few strands have been loosely clipped back with a few others delicately framing her face from either side. A blend of light blonde highlights in hazelnut brown hair is without a doubt a genius combination. This hairstyle for women with short hair cleverly balances long, sweeping bangs at the front to create an illusion of long hair. While Rachael Taylor’s highlighted hair has actually been trimmed to a short bob, she kept the frontal strands almost till her chin. This also lets her luminous blonde streaks shine boldly. With honey golden highlights in cinnamon brown hair, Ashley Greene demonstrates a perfect style for women with short hair. Subtly tousled hair and a chin-length bob, this hairstyle is perfect for all those women who are always running short of time. Take hints from the extremely talented singer plus fashionista, Taylor Swift when it comes to short hairstyles. Here we see the charming beauty sporting a carefully balanced bob cut coupled with deep, eye-skimming bangs. Note how she has highlighted her ash blonde hair with a darker espresso brown shade to grab everyone’s attention from afar. Kristen Bell’s easy-going and trouble-free hairstyle for women with short highlighted hair is just the right mix of casual and elegant. Coming close to a balayage, the lively actress has opted for grayish-brown streaks on her true blonde hair. A quick side-part and a simple hair accessory to hold back a few strands – and you get this playful, youthful look. 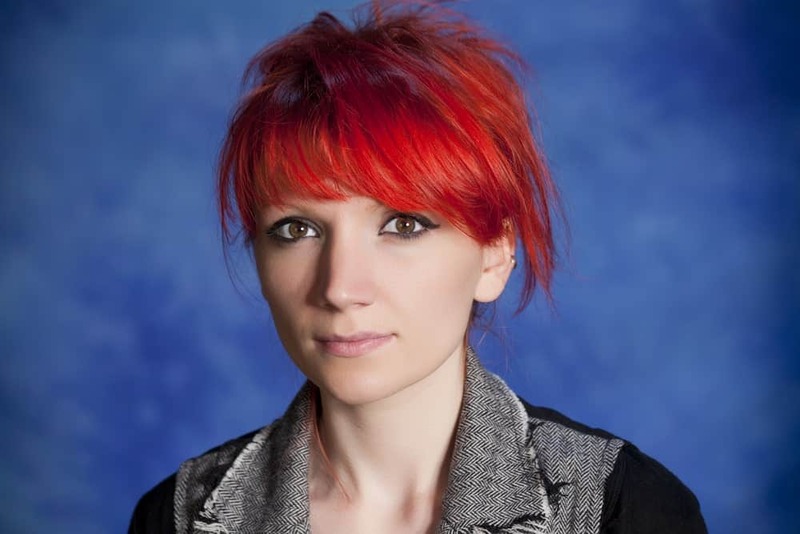 Ashley Scott’s hairstyle demonstrates a really unique hairstyle for women with short hair. While her short inward-turned bob is nothing new, the prominent splash of deep dark highlights in the centre of a pool of gold is really fascinating. Kristen Bell’s simple and sophisticated short hairstyle with highlights comprises of side-swept bangs, low-key waves and of course, some dazzling highlights. Most women believe that highlights need to be of sharp contrasting color against the base shade. But as demonstrated here, streaks that are just a tinge brighter than your real hair color can add beauty and grace like nothing else. Perfect for all redheads, this short hair style with highlights feature deep red, mahogany and maroon streaks that turn the hair into a dazzling spectrum of red. For women who are proud to embrace their individuality, this hairstyle for short hair with highlights is the ultimate fit. A voluminous angular bob coupled with a trio of shades make this a spectacular sight. While the roots are almost jet black, they rapidly lighten to gray and then ivory white, which then transforms to mauve and finally an elegant purple near the tips. If you really want to experience the true essence of highlighted hair, then this hairstyle is a great one to consider. If you are looking for a more traditional approach to short hair with highlights, then look no further than what you see in front of you. A neat chin-length hair cut adorned with caramel streaks is an all-time favorite amongst all brunettes. For a style that’s loaded with beauty and grace, consider this short hairstyle with highlights. 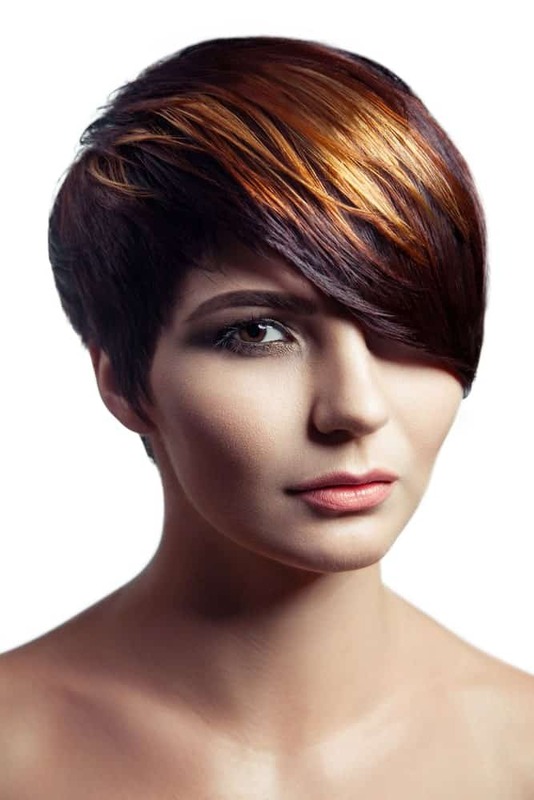 A pixie cut combined with extra deep, eye-skimming bangs swept to a side, this style also adds luster and shine with the bright amber honey streaks at the top. Are you a free-spirited woman searching for short hairstyles with highlights? If so, then this chic style is just for you!